Let’s talk about how to spot (and prevent) common statistical issues with analyzing your marketing campaigns. 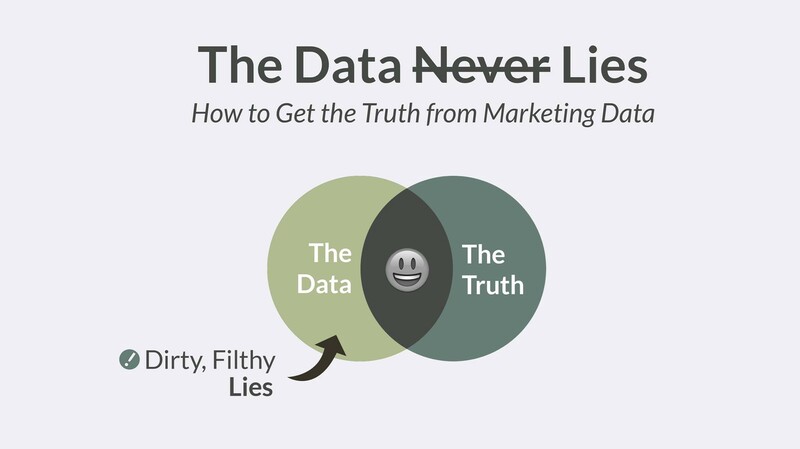 If you’ve worked with marketing data (especially data from social media analytics, experiments, email tracking, etc. ), seeing the results of your marketing efforts in the dashboard of some analytics tool can carry a beautiful feeling of certainty. You put up an ad. People click on it. People buy something. Seems pretty straightforward, right? Well, it’s not quite so straight-forward in practice. Sometimes, your marketing analytics can lie to you. Recently, I gave a talk on exactly this topic at Social Media Breakfast in Minneapolis, MN. The main takeaway of the talk was this: if you’re troubleshooting a marketing campaign there are two types of issues you can be having. A model for thinking about “conversion rate experiments” for social media advertising campaigns. Common pitfalls when setting up social media experiments. I’ve also posted the full slide deck and extra downloadable resources (with “safe for client use” whitelabel-able open source license). The talk begins at 8:45. Read the full feature on NickRosener.co for extra downloadable resources, links to recaps by the Social Media Breakfast Crew, and photos from the talk.